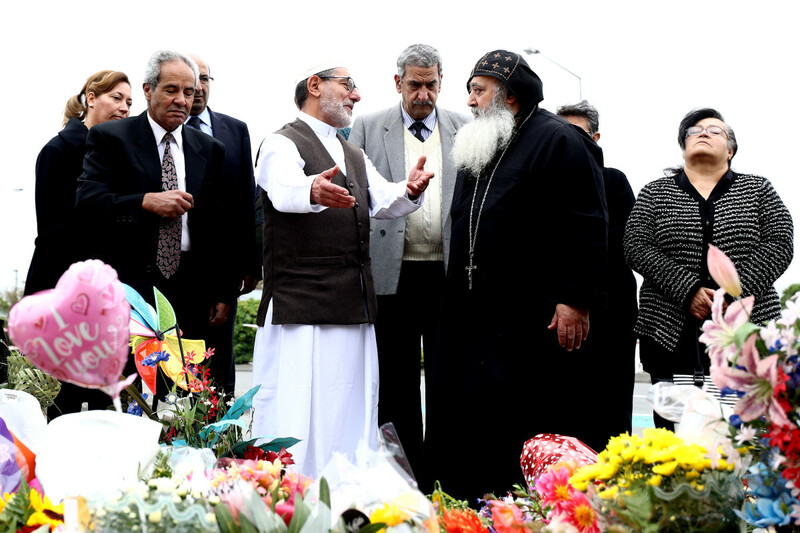 Imam of the attacked Linwood Mosque, Ibrahim Abdul Halim, walks with Father Felimoun El-Baramoussy, priest at St. Michael the Archangel Antiochian Orthodox Church in Dunedin to lay flowers outside the Linwood Mosque on March 18th, 2019, in Christchurch, New Zealand. When the shooter first entered a mosque in Christchurch, New Zealand, last Friday, one of the men who had come to pray turned to him and said, "Hello, brother." The man, Haji-Daoud Nabi, a 71-year-old from Afghanistan, was one of the 50 people the shooter went on to kill in two mosques in the city. Victims included a three-year-old boy. 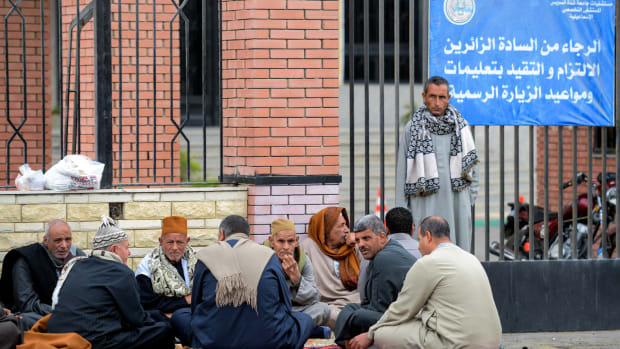 The shooting, which targeted Muslims in their houses of faith, was the worst terrorist attack in New Zealand&apos;s history, and it continued a wider global phenomenon of Muslims dying in terrorist violence. According to researchers, the majority of victims of terrorists attacks worldwide are Muslim. The same day the Christchurch shooter went on his rampage, another terrorist attack claimed the lives of at least six civilians in Syria. As crowds of people attempted to flee one of ISIS&apos;s last strongholds in the town of Baghouz, suicide bombers attacked the "exodus of veiled women, dusty children, and wounded men," according to Agence France-Presse. The day before the Christchurch attack, on March 14th in Somalia, an explosion in a bustling market in the nation&apos;s capital killed eight people and critically injured dozens more. Though the identities of the victims in these attacks have not yet been released, Syria and Somalia are both on the list of Muslim-majority counties rocked by terrorist violence every year. In Somalia, where as many as 98.9 percent of people are Muslim, terrorists carried out over 359 attacks in 2016 alone. In 2017, researchers with the National Consortium for the Study of Terrorism and Responses to Terrorism, or START (which is hosted at the University of Maryland), told ABC News that Muslims are "absolutely" the most likely people to be victims of terrorist attacks worldwide. 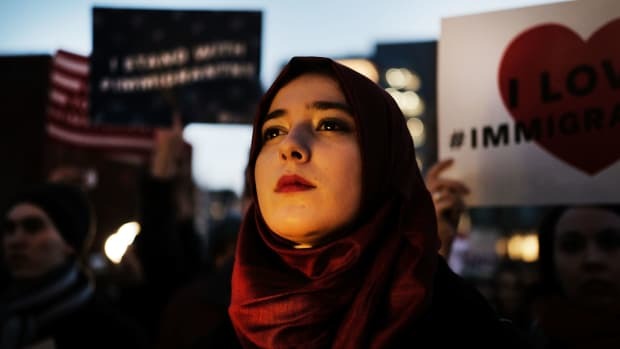 William Braniff, the executive director of START, explained that his team&apos;s data showed that the vast majority of terrorist attacks occur in Muslim-majority countries, and that the majority of victims of terrorism are Muslim. START&apos;s Global Terrorism Database is perhaps the most respected collection of data on terrorist attacks worldwide, and the Department of State uses it to compile its reports. In 2016, analyzing the GTD&apos;s data, an analyst with the Center for Strategic and International Studies also concluded that Muslims are the most likely victims of terrorists attacks. "Almost all of the human impact of extremist attacks is Muslims killing or injuring fellow Muslims," the analyst, Anthony Cordesmon, wrote. The GTD shows that, in recent years, seven of the 10 countries that have the most terrorists attacks have had strong Muslim majorities—and, among counties on the list without Muslim majorities (like India), many of the attacks still affected areas with significant Muslim populations. Though many of the Muslims killed in terrorist attacks every year are killed by other Muslim people, researchers say that the number of incidents of terrorists targeting Muslims specifically because of their faith could be rising. In Christchurch, the shooter&apos;s own words linked the motivation for his attack to his anti-Islam, white supremacist ideology. In 2017, Braniff told ABC News that his team of researchers had seen an increase in "terrorist attacks targeted against Muslims" worldwide. And though most terrorist attacks still occur in Muslim-majority countries, there has also been an increase in attacks targeting Muslims in Europe and the United States. In Germany, a media group found instances of more than 3,500 attacks on (largely Syrian) refugees and refugee hostels in the country in 2016. 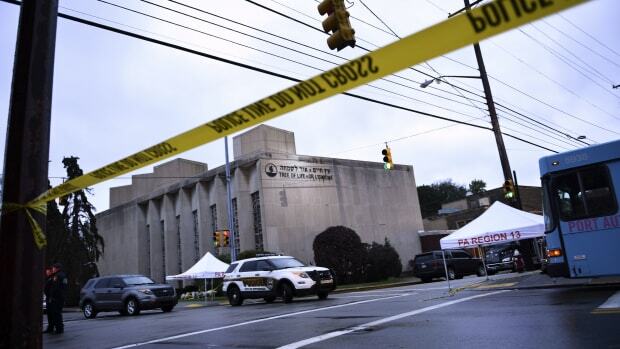 Researchers note that, because attacks on Muslims do not always register in the news if they do not result in fatalities—and because such attacks are often called hate crimes instead of terrorist attacks—news audiences may not be aware of the prevalence of anti-Muslim violence. 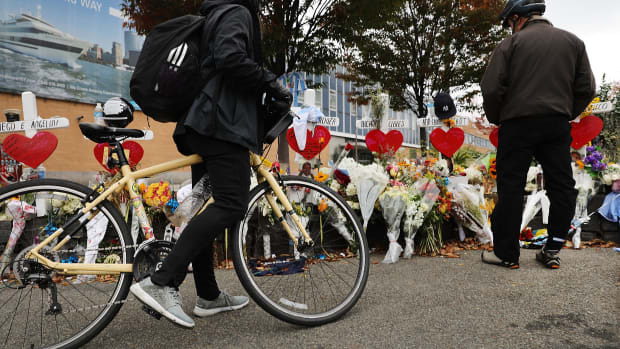 Earlier this year, a study also found that journalists are much less likely to dedicate coverage to terrorist attacks not committed by Muslim perpetrators. In February, researchers at Georgia State University and the University of Alabama found that attacks committed by Muslims get 357 percent more media coverage than attacks committed by other groups.